This was my second visit to Middlevlei. The last time I came here was for a fun run/walk with a wine tasting afterwards. It was over two years ago so I figured it was time I revisited the place. Lizzie Groenewald is the tasting room manager here at Middlevlei and conducted the tasting with me. She had a group outside enjoying a tasting and boere braai while I was there, but she managed both groups smoothly. Lizzie was able to provide an informative tasting, was polite, professional and friendly, which made for an enjoyable experience here at Middlevlei. 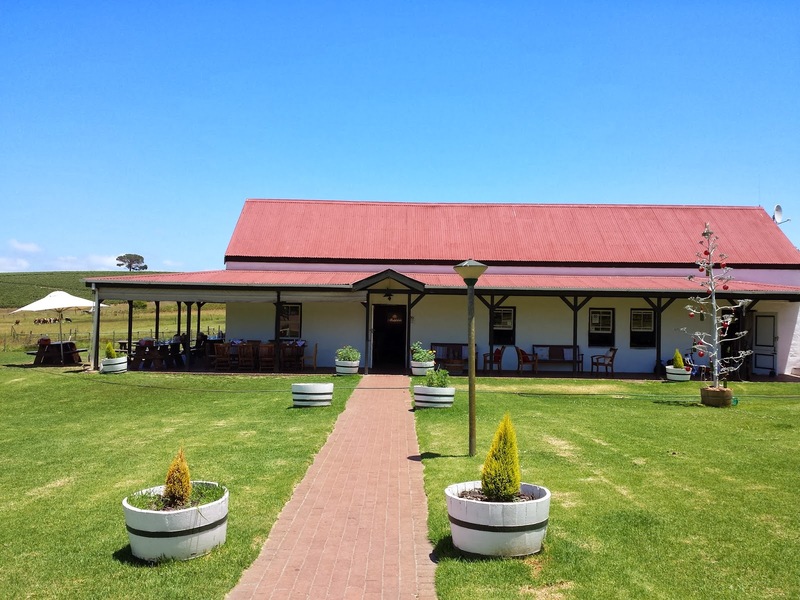 The tasting room is in a simple building as you can see below however it is on a lovely farm with lovely views and farm animals to look at, adding charm and character to the place. To taste wine here costs R15 pp for 5 wines. You can enjoy a boere braai for R145 pp or a light braai at R75 pp - for both these options you need to book at least 24 hours in advance. On Fridays they do pot brood (I am actually not sure what this is) and burgers. With either of these options you get a glass of wine all for R75. If you want something even lighter, then you can enjoy a braai broodjie at R15 each. I enjoyed a braai broodjie when I visited this place last time and it was delicious!! If you are from overseas and won't have the opportunity of eating braai food while in SA, then this is a must. A braai is the SA version of a BBQ and the braai broodjie is a toasted sandwich which usually has sliced tomatoe, onion and cheese inside. Braais are a true part of SA culture and a visit to SA without a braai is like going to NZ without enjoying a pie, fish n chips, tip top ice cream and a hangi. 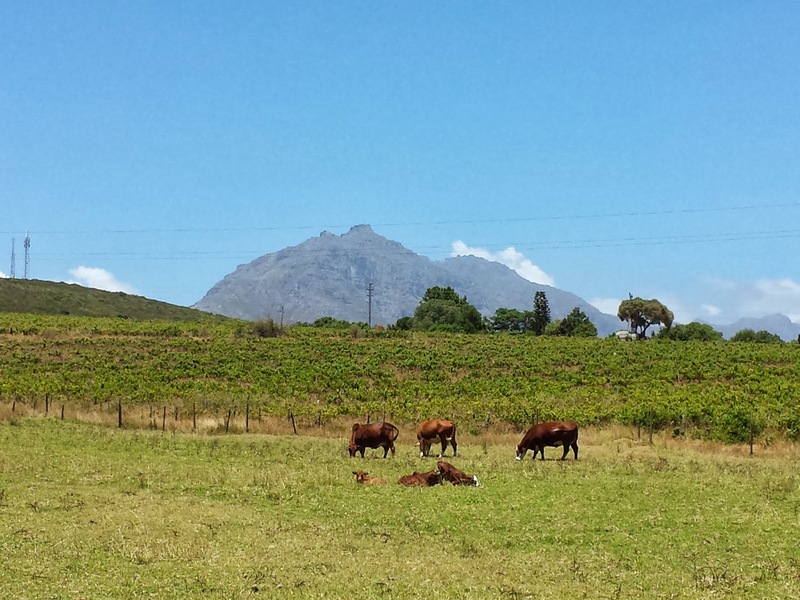 While here, I tasted the Chardonnay 2013 at R59 a bottle. It had strong buttery, butterscotch and honey tones. Medium-full bodied wine yet it is unoaked. It was delicious and very much value for money. Pinotage/Merlot 2012 was R69 a bottle. It was fruit driven, soft, a little dry on the finish. It had a lingering fruity finish, was nice, good quality and yet easy drinking. Free Run Pinotage 2012 at R89 a bottle was smooth and soft. It felt lighter than the Pinotage/Merlot but is light-medium bodied. It was fruity and a little dry on the finish. I prefered the Pinotage/Merlot. Cabernet Sauvignon 2012 at R98 a bottle had hints of mint and eucalyptus on the nose and palate. This wine was dry. Shiraz 2012 at R98 a bottle had nice spiciness on the nose. It was a little sweet, fruity and spicy on the palate. Momberg 2011 is R225 a bottle and I believe it is not normally for tasting, but if you show real interest in the wines they will open one for you to taste. This is a blend of 35% Shiraz, 28% Pinotage, 24% Merlot, 13% Cabernet Sauvignon. It spent 15 months in barrel with 50% in new oak and the other 50% in 2nd fill barrels. It had a beautiful nose, was a little sweet on the palate, soft and smooth. I could taste the Pinotage in this wine with its slight chocolate hints. It is a medium bodied wine. It has an interesting mix of flavours. It has 10 years aging potential. 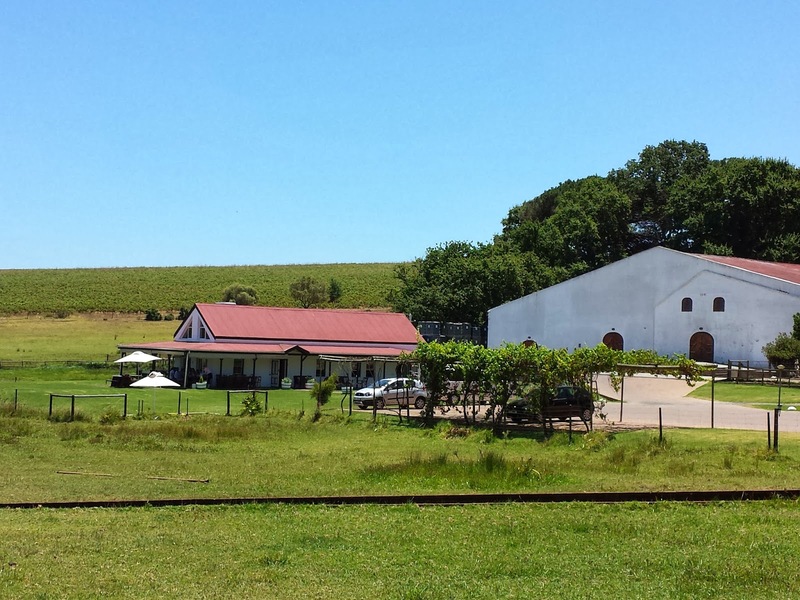 I have enjoyed my experience at this winery on both ocassions and therefore can recommend this winery. I would highly recommend tying your visit with a braai! !